The most popular way to book classes is online, through your online dashboard! 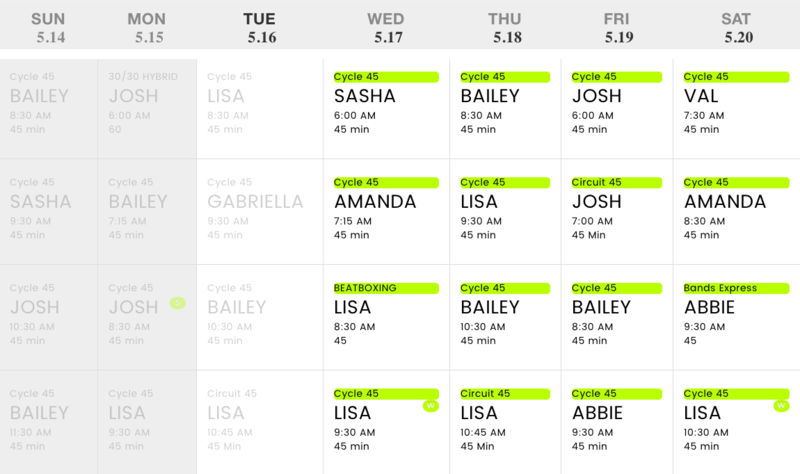 Simply log into your account at www.beatbike.com and navigate to the schedule page. From here, you can select which class you would like to take, as well as which bike you want to ride! Once your class is booked, you will receive a confirmation email -- make sure that you double check the reservation is correct! Now that you’ve got the swing of things, you need to know that our booking window opens up on 12PM every Sunday for the following 8 days. This means that you can book our your classes every Sunday until the following Monday! If you struggle with online booking, that’s no problem! Feel free to stop by the front desk before or after class and we are happy to make your reservations for you. You can always give us a call, too! Our classes start on time! We keep organized by respecting the schedule and want to make sure to preserve the vibe once the music starts bumping. If you're running late, we allow a strict 3-minute grace period to check-in. Arrivals past our grace period will not be allowed entry and may be susceptible to our "no show" penalty. Plan in advance to arrive early and ensure your workout! Reservations may be canceled online without penalty up until 12 hours before the scheduled class. Reservations not canceled 12 hours before class will result in the loss of a class credit. Riders with unlimited memberships will be charged $15 for late cancelations (Cancelations within 12 hours of the class) or a $22 ‘No Show’ fee for missed classes. If you need to switch to a different class, you are welcome to do so at least 12 hours in advance with no penatly! Changes that are made within the 12 hour late cancellation period are subject to a $15 late cancellation fee for unlimited riders or loss of the class credit. We aim to treat everyone fairly and do accommodate emergency situations on a case by case basis. If you would like to switch bikes, you may do so online by first cancelling your reservation and then re-booking your new bike number. You are always welcome to call us as well. We're happy to switch your bike if there are others availlable! 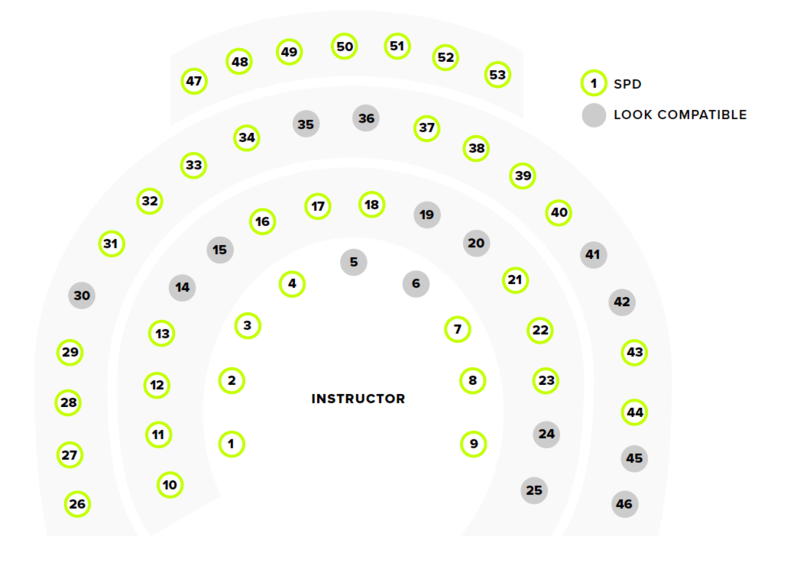 If a class is full, don't be shy- add to the waitlist! As bikes become available, open spots are automatically given to waitlist riders in the order they signed up. If you do NOT remove yourself from the waitlist before class, and are automatically added to the class, you will be subject to our late cancel/no show policy. You must remove yourself from the waitlist if you no longer plan on attending. One hour before class time, the waitlist becomes first come, first serve! If you are on the waitlist, you are always welcome to arrive early and check in to be moved to the top of the list! Please also be advised that we release bikes to waitlist riders promptly at class time. If you are running late, please give us a call and let us know so that we do not release your bike! Children under the age of 14 are not permitted to create accounts or attend classes at Beatbike. Children between the ages of 14-17 must create their accounts in-store, and have an underage waiver signed by a parent or guardian prior to registering for classes. We ask that all riders keep their phones in the lockers outside of class to limit distraction for your fellow riders (like the movies..)! Waiting for an important call? Worried there may be an emergency? The front desk is happy to tend to your phone, and grab you from class if any designated number calls! We've got your back.